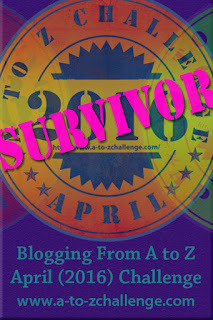 Welcome to this year’s theme reveal for the A-Z blogging challenge. After the previous year’s cathedrals and abbeys, I decided to continue the theme of historical places of the British Isles. With the success of Downton Abbey and The Crown on TV, it would be easy to pick the stately homes of Chatsworth, Blenheim Palace and Audley End and find plenty of information, but I wanted to challenge myself to go a bit further. The (lesser known) Great Houses of Britain! Many of these homes are in private ownership and not open to the public, so finding them is a little tricky and delving into their past probably even more so. I’ve an ulterior motive in looking at these houses, halls and mansions – my novel, The Women of Heachley Hall. One of my beta readers fell in love with the house in my book, she went off to google it. It doesn’t exist and is based on a composite of houses I’ve seen or visited. However, her feedback did make me realise the house is a character in my book as much as the people and if I treated it so, it might bring it alive, which turned out to be essential to the story. I scoured the internet for images and ideas of what Heachley Hall might look like and in doing so uncovered the hidden treasures of my country – beautiful grand houses. Over April, I shall endeavour to share with you these places, whether they are built from stone or timber, Medieval or Victorian, and if they ever had a purpose beyond being a home. Great theme! I’m an historian too so extra interest here. Looking forward to seeint your challenge! I’m hopefully going to find some interesting historical nuggets of information. Thanks for stopping by. This one is going to be tougher – but that’s the challenge. Look forward to seeing you back! This sounds interesting. Last year I followed someone else who did something similar, I’ll be interested to see yours. Thanks for stopping by. I hope my posts are going to entertain as much as inform. I always love your posts and this year’s theme sounds wonderful yet again. I look forward to seeing the houses you have chosen. Hi Tasha, good to see you stop by. That’s a great idea for a theme! While I’m no architect, I love seeing the different types of buildings out there and learning about their history. I’m no architect either, but let’s see what I can find out. Great theme, look forward to the tour! Thank you! I like the idea of your theme – a virtual tour of the EU. It sounds fantastic! And yes, it is quite unusual, so I can’t wait to read more! It’s going to be a challenge because previous years there was heaps of places to find information. This is going to take a little more digging. I love the look of yours. I studied 1920s Germany at school, so will be reading with interest. I’m hoping that you’re not alone! I like the sound of your blog. This sounds fascinating. Have a wonderful A-Z and April. I do love Downton Abbey, so I’m excited to check out your posts during this challenge, good luck to you! Great choice for April’s challenge. I’m looking forward to your posts! Good luck!